Both activities must be booked separately. Partaking in the escape room is possible from 16 years. Prices are inclusive of VAT. Would you just clear your head after playing the escape room? Step into the bus of City Sightseeing Rotterdam. With nice weather the roof opens. Relax during the city tour. Let your head be filled with fun facts about Rotterdam and explore parts of the city that you had not considered. Of course you will drive along the highlights of Rotterdam like the Market Hall, the cube houses, the Euromast and the new Central Station. Spot the highlights of Rotterdam with City Sightseeing Rotterdam. 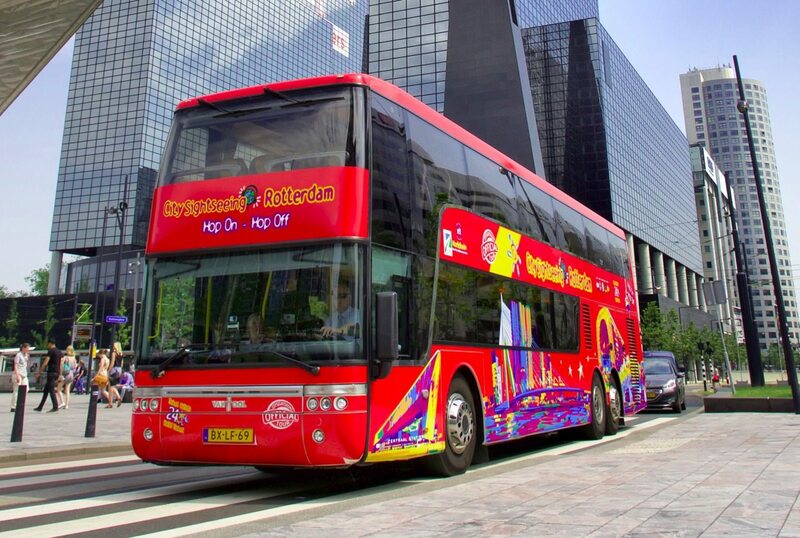 Step in at City Sightseeing Rotterdam and discover Rotterdam in style. With the Hop-On Hop-Off bus you row through the highlights and main sights of Rotterdam. With this audio guided sightseeing tour you see Rotterdam in bird flight. Feel free in the open-air bus, it has been completely returned!